Disc Cutter 29-34 (6 Pc) from Durston Tools. 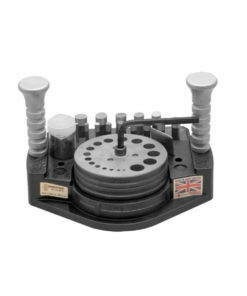 Durston Tools’ Disc Cutters have been carefully manufactured with an innovative new design. They include a unique plastic tray to hold all the punches, and this sits neatly into the back of the disc cutter tray. There is a lubricating compound for the disc cutter which is included with the set. There is an innovative, easy clamping solution whereby the user clamps and then removes the Allen key (which is also included with disc cutter set). 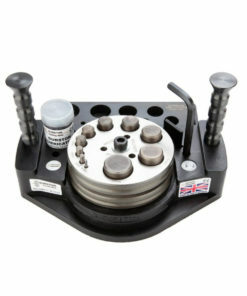 The collection also includes levelling shims to provide a complete disc cutting solution for your jewellery workshop. This set contains six punches ranging in size from 29mm up to 34mm. Durston’s Disc Cutters have been carefully manufactured with an innovative new design. They include a unique plastic tray to hold all the punches, and this sits neatly into the back of the disc cutter tray. 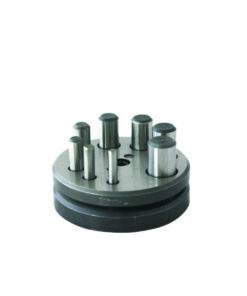 There is a lubricating compound for the disc cutter which is included with the set. There is an innovative, easy clamping solution whereby the user clamps and then removes the Allen key (which is also included with disc cutter set). 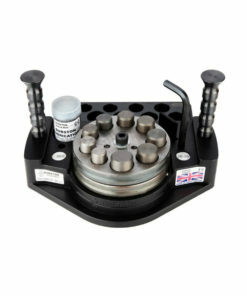 The collection also includes levelling shims to provide a complete disc cutting solution for your jewellery workshop. 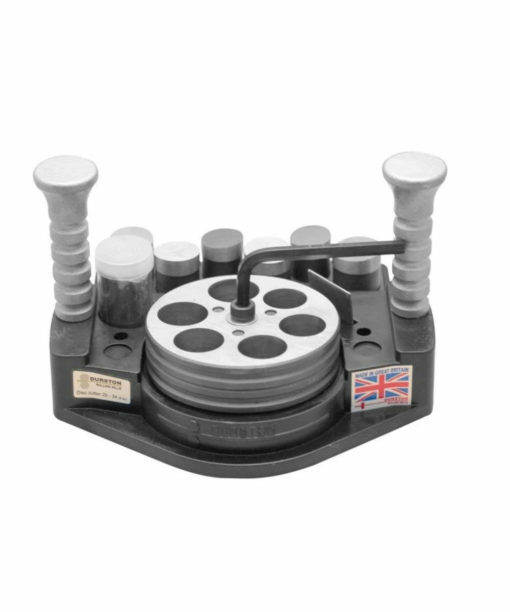 This set contains six punches ranging in size from 29mm up to 34mm and weighs in at 7.45kg (29, 30, 31, 32, 33, 34mm).